This special two hour episode of The Bat Segundo Show details the life and work of Stefan Zweig in considerable detail. It includes interviews with translator Anthea Bell and George Prochnik, author of THE IMPOSSIBLE EXILE. This special two hour episode of The Bat Segundo Show details the life and work of Stefan Zweig and may quite possibly the most epic consideration of Zweig ever committed to radio. Zweig is an author I became obsessed with this year not long after a large box showed up at my doorstep containing many Zweig volumes because of an offhand comment I made to a savvy individual while sitting on my stoop. (Let this be a modest parable in publicity and obsession.) This radio program, which became far more ambitious than I intended, is the result of many weeks of reading and serves as a comprehensive overview for Zweig neophytes and experts alike. 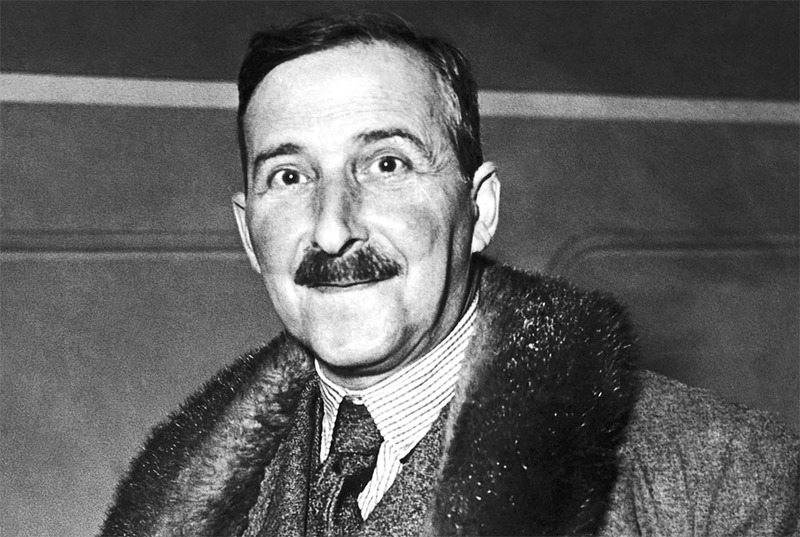 Zweig is a greatly underestimated writer, despite the fact that he was popular in Austria until the Nazis decimated the nation and even after many literary people have labored very hard to ensure that his work is properly remembered. 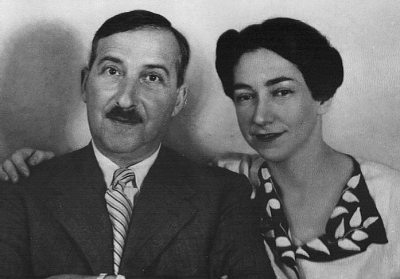 Zweig’s books can be obtained through NYRB Classics and Pushkin Press. Anthea Bell is Stefan Zweig’s most renowned translator. Our conversation with Bell begins at the 2:23 mark. George Prochnik is the author of The Impossible Exile: Stefan Zweig at the End of the World, which is available through Other Press. It serves as an invaluable companion book for Zweig enthusiasts. Our conversation with Prochnik begins at the 26:26 mark. Subjects Discussed: The friendship of James Joyce and Stefan Zweig, exiles and “languages above other languages,” Zweig’s obsession with cutting large chunks of text from his work, how complicated narrative structures and smooth language make translation tricky, preventing Zweig burnout, not knowing how much Zweig cut from The Post-Office Girl, how translators sometimes get their hands on a more expansive manuscript, why Bell didn’t translate The Post-Office Girl, coordinating translation of Zweig’s work with other translators, the mythical transatlantic English divide, why readers are suspicious of Zweig because of the popularity during his time, Ralph Vaughan Williams, Michael Hoffman’s preposterous LRB Zweig essay, Hoffman’s charge that Zweig is “the Pepsi of Austrian writing,” why people are eccentrically hostile towards writers who get through to people, eliding sentences and passages from the original manuscript, balancing the spirit of the work and the letter while translating, the tragic ending of Beware of Pity, the novella buried in Beware of Pity (aka Impatience of the Heart), similarities between “The Governess” and The World of Yesterday, the condescending attitude towards Malaysians in “Amok,” how to contend with discomfiting colonial language as a translator, Joseph Conrad, the double standard contained within Confusion, G.K. Chesterton, anti-Semitism in English writing during the time, why Bell doesn’t translate serious poetry, translating a Zweig play for Jewish Book Week performed by Henry Goodman, Zweig’s politics, silent humanism as a response to fascism, W.H. Auden and the Spanish Civil War, the salubrious qualities of delusion, the considerable observations about class trappings in The Post-Office Girl, Hitler turning Vienesse cultural centers into Nazi base camp operations, Nazi resentment, the invasion of privacy as depicted in The Post-Office Girl, Zweig’s prescience on the pervasive way in which people are observed, Heinrich Mann’s notion of “the vanquished being the first to know what history has in store,” Zweig’s ideas of luxurious torture, feeling smothered by bourgeois comforts, Zweig’s views on comic books, the arts as a vehicle for freedom, Zweig’s time in Berlin, the benefits of hanging out with monomaniacs, having Theodor Herzl as an editor, relying on Herzl’s approval, Zweig’s struggles with his Jewish identity, Zweig being mocked by Karl Kraus, Kraus’s anti-Semitism, Zweig’s relentless travel, Zionist discussion between Zweig and Martin Buber, Herzl’s funeral, community bound by death, suicide as a motif in Zweig’s fiction, the “happy corpse” notion and Vienesse spectacle, Zweig’s reclusiveness in New York, Zweig being besieged by European refugees after his escape from the Nazis, Zweig’s problems in Petropolis, letters and loneliness, helping people, guilt accompanied by taking on too much responsibility, Beware of Pity as a way for Zweig to bifurcate his emotions, the politics of Beware of Pity, Zweig demanding to know where Walt Whitman’s grave is the minute he hits New York, how Zweig saw Whitman as the connecting threat to America, ineluctable Freudian themes disseminated among Austrian notables, the influence of Emerson on Nietzsche, when the Nazis burned Zweig’s library, Zweig’s gloomy acceptance and his capitulation to anti-culture developments, Berthold Viertel’s observations of Zweig’s manic collecting, Zweig’s invasive remarks at a press conference concerning the Nazis, Zweig’s aspirations to be a “moral authority,” Hannah Arendt’s brutal review of The World of Yesterday, Jules Romain’s valedictory lecture on Zweig’s 60th birthday, Zweig’s moral dilemma of not being able to validate the destruction of life in any form during World War II, the beginnings of Vienesse anti-Semitism, why Vienesse intellectuals underestimated anti-Semitism, Arthur Schnitzler, perverse Vienesse humor, the Dreyfus affair, Englebert Dollfuss’s blunder with the progressives and Austria’s alliance with fascists in the early 1930s, right-wing nationalism, the end of Austrian radicalism after the socialists have fled, Prochnik’s family history in Austria, Zweig and Turkey, the McNally Jackson Zweig panel, Andre Aciman’s dissing of the “Eros Matutinus” section of The World of Yesterday, why even the staunchest Zweig lovers find some work of Zweig’s to dog on, when people read the wrong “first Zweig book,” Zweig’s astonishing polished prolificity, being ranked with major literary figures through the odd metric of what the Nazis decide to burn, appealing to the twee crowd and the reading audience courting despair, Zweig’s suicide, the haunting photo of Stefan and Lotte Zweig after their double suicide, Kate Zambreno’s Heroines, why Lotte Zweig wasn’t just a factotum, attempts to undermine Lotte’s legacy, the Stefan Zweig Collection in SUNY-Freedonia, Duck Soup, Zweig’s biography of Balzac, and unpacking the final moments of the Zweigs. 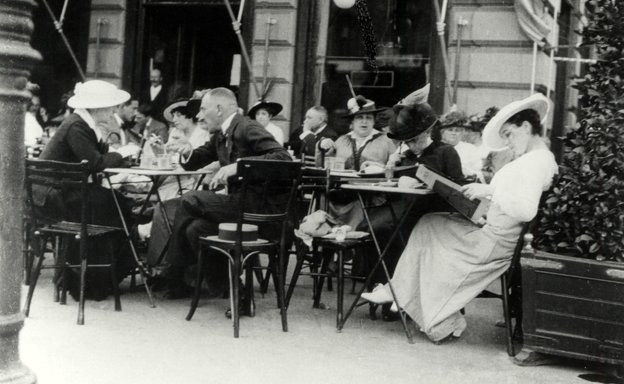 Correspondent: Both James Joyce and Stefan Zweig were exiles when they met in Zurich. And they got along so well that Joyce lent him his only copy of Portrait of an Artist as a Young Man. And Joyce famously said to Zweig, “I would like a language above other languages. A language serving them all. I can’t express myself completely in English without making myself part of a certain tradition.” And I’m wondering. Since you’ve spent a lot of time looking at Zweig’s language, do you think Zweig suffered from the same problem? That as different as Joyce and Zweig were, they were both confronted in their own ways by belonging to a kind of tradition that language enslaved them to some degree. Bell: Yes, I think you’re right there. And Zweig was himself earlier in his life, he did quite a lot of translation. And he recommended it as a way for a writer to get better acquainted with his own language, which I find very interesting. Correspondent: What is it about his language? I mean, I’ve read your translations. I’ve read the translations of various others, such as Phyllis and Trevor Blewitt, Joel Rotenberg, and all that. And yet the romantic feel and the class and the despair of Zweig’s stories still manages to come out in much the same way. What is it about Zweig’s German that creates these parallels? And what do you do to find your own spin as a translator? Bell: He was very, very scrupulous about his use of language. And as you probably know, he cut a great deal from everything he ever wrote. And that is one reason, I’m sure, why he wrote so many novellas. And some of them could easily developed into full-length novels and probably would have done in the hands of many another writer. But he cut and cut and cut, except with Beware of Pity. But he cut so many of the others. He didn’t let them out of his hands. And so he would just cut everything he could and still get what he was saying across. He didn’t want to say too much. And that is, I think, what gives to the irony in his fiction and makes it so compelling. Correspondent: That’s interesting. I mean, I’m wondering first and foremost how you came to Zweig and what the first story that you translated of his was. It seems to me that you developed a great intimacy with his life and that’s part and parcel with accurately conveying his stories in English. Bell: Well, the first one that Pushkin Press asked me to translate was the one that is called Confusion in English. Bell: The German means Confusion of Feelings, but it’s just Confusion in English. And after that, Twenty-Four Hours in the Life of a Woman. Bell: Which I think is a remarkable piece of female impersonation. Correspondent: I think it’s a masterpiece, that story. Bell: He’s very good at getting inside women. Correspondent: How did you first discover him? And what compelled you to carry on translating him? Bell: Well, I had read him earlier, in the past. But it was when I got to translate him, you get a completely — well, not a completely different angle, but a much deeper view of a writer when you begin to translate him. There’s an American scholar who I’ve got on my bookshelf — I’m just getting up to look at the title of it. Anyway, he writes that the translation is a particularly intensive form of looting. And I think he’s quite right there. And you do. You get to know something far better as you translate it. Now when I had read, I don’t know how Zweig strikes you reading it, but he looks as if he would be easy to translate. Because it all flows along very lucidly. But he’s difficult as a matter of fact. More difficult than you might think. Correspondent: What steps do you take to break down his stories? I mean, very often, you see these intriguing narrative structures that begin his stories. I think of, of course, Beware of Pity. I think of Letter from an Unknown Woman. I think of Twenty-Four Hours as well. This notion that you have some person talking about something else, who then talks about something else, who then goes into the past and then possibly creates a letter or sits in a room discussing a story. This is an extraordinarily tricky thing that Zweig does. And I’m wondering. What does this mean for you as a translator from a language standpoint? You mentioned earlier that Zweig took great care with his German. What care do you have to take on top of that to ensure that this meticulous narrative grabs the reader in the same way that it does in the German? Bell: Well, a translator is always trying to get inside the head of an author. And, of course, it’s very helpful if your author is alive and you can ask him questions. But if your author is dead, well. His favorite adjective, whenever I come across it, is dumpf. And that means dark or the sound. But usually he uses it to mean somber in some ways. Either literally or metaphorically. And whenever I get to that adjective, I think, oh, come on, Stefan! Which sort of dumpf have we got this time? There are layers in that writing. And by always cutting, I feel he was smoothing things together, if you see what I mean. Correspondent: So you’re saying there’s almost this false cognate situation when you translate Zweig. Bell: Yes. Yes. He’s a very, very interesting writer to translate. And obviously I enjoy translation. But obviously also it’s when translating somebody who I feel is writing well. Correspondent: Let’s go ahead and start with his very unusual political relationship. He was acutely aware of class trappings. We see this in The Post-Office Girl. But he seemeed to believe that the high culture or the good life could in fact be used to combat forces as nefarious as National Socialism. As you point out, he believed this as late as 1935 and this led him to be mocked later by Hannah Arendt in her brutal review of The World of Yesterday. You point to Zweig’s alliance with Richard Strauss, which backs up this tendency. And certainly much of this grew out of Zweig’s involvement with the Vienesse Secessionists. But how do you feel this approach developed over time? How did exile contribute to this undoing? Was this kind of political incoherence part of it? Prochnik: I think it’s wonderful what you’re asking and it wraps together a number of different characteristics of him. Intrinsic psychological characteristics and also acquired traits, as it were. I mean, Zweig says explicitly in his memoir when he describes the option that he had at the start of the war to have refused service in a bold gesture. He said, “I don’t mind saying right out that there’s nothing heroic about me and I will evade, wherever possible.” So on the one hand, he had already also made the decision that, somehow or another, he was not going to end up on the battlefield. But he knew that the grand refusal was also beyond him. So part of Zweig’s difficulties, particularly over time when the Nazis, when the ascendency of Hitler and of all of the values for which he was associated became intractable and unavoidable problems. Zweig had already adopted his stance, which was not a stance, however, of pure cowardice. He had a very developed conviction that served his interests and also, I think, spoke to a real belief of his. That it was impossible ultimately to obtain a just, more tolerant world through violence. In other words, even if you were faced with a horrific form of government, a set of ideological beliefs, what he always tried to do was to garner support for his pacifist, humanist positions through positive achievements. He felt that whether through cultural acts of creativity, whether through the arts, or whether through forms of education that were explicitly devoted to promoting tolerance. That by trying to call on people’s better instincts, you ultimately got further than through nefarious denunciation. The reality is that at the very start of the Second World War, in 1939, at least when England declared war on Germany, there was a brief period when he wavered on this and said, “I don’t understand how any young Jew of age can at this point in time not enlist.” And I think at that point Zweig himself would have enlisted to fight. He grasped that Hitler was another problem, another order of destructive intent. But one of the aspects of Zweig’s stories that I find inexhaustibly interesting is the way that he tried to apply lessons of history unsuccessfully. It was not that he was denying history, but what he learned, for example, from the First World War is what madness war is. Correspondent: We’re talking generally. Not his autobiography. Just his life philosophy. Prochnik: Exactly. As his evolving life philosophy. He had learned very well the utter ruin to which civilization could tumble as a consequence, even if you had a relatively just aim of setting out with a gun to impose that. And that just didn’t necessarily serve him well in all instances. I mean, W.H. Auden, the poet who Zweig came to know in the summer of 1941 in New York, ran into at least a similar problem. There’s a line from Orwell. This is grossly paraphrasing, but he always knew to be where the trigger wasn’t being pulled. Something like this. That because Auden, who had initially been so supportive of the Republicans in the Spanish Civil War, had then gone to Spain and seen the humiliation of the Clarets and the destruction of the churches, he was then very resistant to taking up a strong outspoken stance against Hitler at the start of the Second World War, for which Klaus Mann and others really took him to task. Correspondent: I think what fascinates me about this is this cognizance of what war can do, especially the Jewish identity. It’s there in “The Miracles of Life,” this amazing novella that he writes when he’s only 22, I believe, in 1903. And if he cannot remember the lessons that his apparent subconscious set down in fiction thirty years later, I mean, what accounts for this almost Wodehousian type of obliviousness to war, to anti-Semitism, to being uprooted, to being exiled? Correspondent: It was also his delusion to keep. Prochnik: It was his decision. Not only delusion, but his decision to keep it. Correspondent: He was cognizantly myopic. Prochnik: Well, whether myopic or…I think of it more in terms of his idealization. He talks about the need, particularly in his very interesting biography of Erasmus, for world leaders who hold onto these utopian visions of humanity’s possibilities, even if those must always remain to an extent a myth. Because he says, “If we don’t essentially have overreachers in imagination, we’re never going to get anywhere.” So he uses that term, the delusions of the world of his father, in a very pointed way as a fruitful, fertile delusion. That it leads at least, he says, relative to the slogans being bandied about, when he’s writing this in 1941. So that idea is really interesting about Zweig not as someone who didn’t see, but as someone who saw and saw such ugliness and such abomination unfolding around him. That it seemed ultimately to have more, it humanity was ever going to dig itself out of that ditch, that perhaps it was necessary to paint these pictures of what the world of yesterday had been in such glorious language and scenes, some of which are semi-fabricated. That after the blaze had begun to die down of the conflict, there would be sign posts. Something for humanity to look at as a way of trying to reconstruct a more humane society, a future. Correspondent: This was his idea of idealism, basically. Prochnik: I think so. It could actually perform a real world work. And that for me is the critical distinction in terms thinking about what Zweig did or didn’t do. And this comes into your original question. I don’t want to live it without touching on Zweig’s real philosophy of silence, which was a belief that, if someone was screaming horrible forms of abuse at you, that you never really defeated them by trying to scream louder. That in fact it was by adopting a stance of dignity and of disproving by embodying a different set of values to that. The only way to oppose it. And this was something that got him into such difficulties, with the Nazis in particular. Hitler fetishized the notion of hardness. And hardness comes up again and again, literally as a term with different sorts of German words in Mein Kampf, but again and again throughout the rhetoric of Goebbels and Göring and all the main ideologues. Rosenberg. They use this term of hardness to define essentially the ethical worth of the human being. And so Zweig, I’m certain, saw that you can’t oppose hardness with hardness. He felt you oppose hardness with softness, with pliancy, with receptivity, with a set of values that are much more associated stereotypically with feminine values, but with an idea that you came at that obliquely and proved yourself able to essentially to be metamorphic in your character, as opposed to absolutely rigid. It’s an idea with a certain Jewish resonance also. In Jewish thought and history. Correspondent: Sure. But I would argue, especially with a novel like The Post-Office Girl, we see the rigidity reinforced by this woman who goes to a luxurious hotel, is confused with upper-class, who then has to deal with the fact that she can’t pass that way, and is then forced back into this terrible existence where she has to work in this post office. And, oddly enough, the last half of that book sort of becomes, especially with that manifesto at the end — I don’t want to give it away — a very deliberate effort to contend with reality and becomes extraordinarily bleak, devastating, and heartbreaking. And it leads me to wonder how committed Zweig was to his delusion or whether he needed to have certain kind of historical modes or present times with which to oscillate between the delusion that he deliberately courted and the realism he seemed to be aware of with that manifesto at the end of The Post-Office Girl. Correspondent: And not even her fault. Because her family actually got a bad rap and she fell into this rote impoverished kind of existence. Prochnik: Not her fault at all. Then she gets just a hint by visiting this aunt in a glamorous hotel of how wonderful life can be. And then she’s flung back through a series of unfortunate events into the mire of her previous existence. And that gnawing sense of exclusion is something that I think is critical for understanding what the Nazis fed on.